The proliferation of phototrophy within early-branching prokaryotes represented a significant step forward in metabolic evolution. 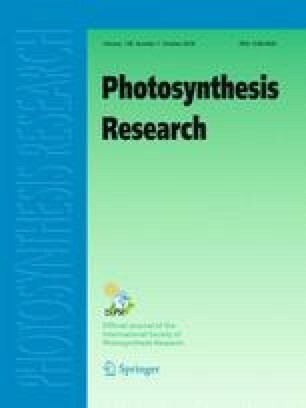 All available evidence supports the hypothesis that the photosynthetic reaction center (RC)—the pigment-protein complex in which electromagnetic energy (i.e., photons of visible or near-infrared light) is converted to chemical energy usable by an organism—arose once in Earth’s history. This event took place over 3 billion years ago and the basic architecture of the RC has diversified into the distinct versions that now exist. Using our recent 2.2-Å X-ray crystal structure of the homodimeric photosynthetic RC from heliobacteria, we have performed a robust comparison of all known RC types with available structural data. These comparisons have allowed us to generate hypotheses about structural and functional aspects of the common ancestors of extant RCs and to expand upon existing evolutionary schemes. Since the heliobacterial RC is homodimeric and loosely binds (and reduces) quinones, we support the view that it retains more ancestral features than its homologs from other groups. In the evolutionary scenario we propose, the ancestral RC predating the division between Type I and Type II RCs was homodimeric, loosely bound two mobile quinones, and performed an inefficient disproportionation reaction to reduce quinone to quinol. The changes leading to the diversification into Type I and Type II RCs were separate responses to the need to optimize this reaction: the Type I lineage added a [4Fe–4S] cluster to facilitate double reduction of a quinone, while the Type II lineage heterodimerized and specialized the two cofactor branches, fixing the quinone in the QA site. After the Type I/II split, an ancestor to photosystem I fixed its quinone sites and then heterodimerized to bind PsaC as a new subunit, as responses to rising O2 after the appearance of the oxygen-evolving complex in an ancestor of photosystem II. These pivotal events thus gave rise to the diversity that we observe today. Gregory S. Orf and Christopher Gisriel have contributed equally to this work. The online version of this article ( https://doi.org/10.1007/s11120-018-0503-2) contains supplementary material, which is available to authorized users. The authors thank Dr. Gillian Gile (Arizona State University) for consultation on phylogenetic tree construction, Mr. Bill Johnson (Arizona State University) for artistic input on figures, and Dr. Robert Blankenship (Washington University in St. Louis) for sharing the draft genome of Heliorestis convoluta. All authors were supported by the Division of Chemical Sciences, Geosciences, and Biosciences, Office of Basic Energy Sciences, of the U.S. Department of Energy through Grant DE-SC0010575.